This is the ninth in a series of articles in which I share my methodology for crafting a story, which I hope is both interesting and informative. In my last post, I wrote about the Carmel Mission. This week, I turn to the Mariposa Indian War, one of all-too-many tragic engagements between white Americans and the native tribes in the American West. Among the sources I cite at the conclusion of New Garden are Barrett and Gifford’s Indian Life of the Yosemite Region, Miwok Material Culture (republished by Yosemite National Park, Yosemite Association); Sarah Lee Johnson’s Roaring Camp – The Social World of the California Gold Rush; H.W. Brands’ The Age of Gold; and Lafayette Bunnell’s Discovery of the Yosemite and the Indian War of 1851. I employed these sources when I adapted Bunnell’s account to the story. Jack Grier, New Garden’s main character, heads up a Gold Rush trading company, Sierra Dry Goods. Jack becomes a captain in the state militia organized to punish the local tribes after two of his men are killed at one of his trading posts. In actuality, the tribes attacked the trading post of another supplier, Jim Savage. I have modeled Jack’s role after that of Captain John Boling, who served under Savage. I deviate from Bunnell’s account where necessary to bring interest to the story. First, I give the reader an understanding of the native tribes’ presence in the Sierra Nevada long before the California Gold Rush, in a chapter captioned “Two Hundred Generations” (pp. 115-116). Twenty-seven thousand years ago, their ancestors crossed the Bering Strait land bridge to Alaska. Twelve thousand years ago, their ancestors migrated to California and lived primarily along the coast and southern California. Five thousand years ago, their ancestors migrated inland. By 1849, more than two hundred generations of Miwoks and Yokuts had lived in the Sierra Nevada foothills. The men had hunted deer, bear, and smaller game. They had fished the Sierra’s rivers. The women had experimented with native plants and made use of their properties for both food and medicine. More than two hundred generations of Miwoks and Yokuts had lived in harmony with the land. They had no need to plant crops. They lived in the world’s most abundant garden, which only required harvesting. By 1848, smallpox and other diseases brought by the Spanish had cut California’s native population in half, from 300,000 to 150,000. Two years after the discovery of gold, the state’s native population fell another 50,000. By 1851, the white miners’ destruction of forests and game threatened the survival of the Sierra Nevada tribes. After an Indian raid on one of Savage’s trading posts, the whites used the attack as an excuse for driving the tribes out of the mountains to a reservation in Fresno. Kill me, Captain. Yes, kill me, as you killed my son; as you would kill my people if they were to come to you! You would kill my race if you had the power. *** [W]hen I am dead I will call to my people to come to you, I will call louder than you have heard me call; that they shall hear me in their sleep, and come to avenge the death of their chief and his son. Yes, sir, American, my spirit will make trouble for you and your people, as you have caused trouble to me and my people. May you grieve the death of your son as I shall grieve the death of my mine. The Mariposa Battalion ultimately succeeds in removing the local tribes to a reservation, but Tenaya’s curse haunts Jack later in the story. Please consider a longer read. New Garden is available on line from Amazon, Apple, and Barnes & Noble. Each website includes a “look-in” feature with the first few chapters of the novel. In Greensboro, NC, the novel is available at Scuppernong Books and the Greensboro Historical Museum Bookshop. The sequel, Trouble at Mono Pass, is available on line and at the referenced Greensboro locations. In California, it is available at the Mono Lake Tufa State Reserve (Lee Vining) gift shop, the Mono Lake Committee Bookstore (Lee Vining), and the Donner Memorial State Park Bookstore (Truckee, California). I know something about the first. When I was a small boy living in West Virginia, my father suffered horrific injuries when the roof of a coal mine collapsed and pinned him in the bowels of the earth. A rescue team rushed to his aid and after several agonizing hours succeeded in freeing him from the rock. They immediately realized that the collapsed roof had broken both of his legs. That evening at the county hospital, the medical staff discovered that one lung had collapsed, punctured by three broken ribs. It took months for my father to recover from his injuries. By that time he had run through most of his life’s savings and had to find a means of supporting a wife and five children. The accident had crushed any interest in returning to the mines and, with only an eighth-grade education, his options were limited. After another six months of trying several vocations, he acquired a Texaco dealership in Newport News, Virginia. Before relocating the family there, he made certain he could make a go of it. To minimize expenses, he slept on a cot in the stock room among cases of oil and grease and took bird baths at the stock room sink. After a year away from the family, he gained the reputation and clientele he believed necessary to succeed. So he gathered the family from the cool breezes and poverty of Appalachia and moved us to the sweltering heat and new-found economic opportunity afforded by Hampton Roads. I’ve written numerous articles about America’s first transcontinental railroad. Most of them detail the struggles and accomplishments of the railroad titans, the men who owned the Central Pacific and Union Pacific railroad companies. The construction of the railroad rarely took those men away from home for an extended period of time. That was not true of the men who actually cleared the path and laid the rails or for the men who supervised the work. In this article, I will speak briefly about the two men responsible for overall supervision of the work. Before the Civil War, John S. (Jack) Casement made his living in the fledgling railroad industry. He worked as a common track layer, a foreman, and ultimately formed his own company, contracting to lay track for several railroad companies in the Midwest. During the war he rose to the rank of general in the Union Army. Afterward, he dove unsuccessfully into the speculative cotton trade. Stung by failure, he returned to the trade that had put bread on the family table before the war. The Union Pacific Railroad was appropriately named, as the company hired on a number of Union Army veterans. In 1866, Thomas Durant hired former Union General Grenville Dodge as the chief engineer for the Union Pacific Railroad. In February 1866, the Union Pacific had laid only forty miles of track when Durant also contracted with brothers Jack and Dan Casement to complete the task. The Union Pacific had initiated construction in Omaha, Nebraska, even though President Lincoln clearly expected that Council Bluffs, Iowa, across the Missouri River from Omaha, would serve as the railroad’s eastern terminus. There is no greater professional lapse for a lawyer than to approve or draft contract language that allows the counterparty, particularly a con man such as Durant, to avoid executing the terms of an obligation consistent with the client’s intent (in this case, President Lincoln’s intent). In the West, James Strobridge took a different tack once the Central Pacific’s work crossed the Sierra Nevada. During the early years of construction, Charley Crocker of the Central Pacific worked with Strobridge on a contract basis, just as the Union Pacific did with the Casement brothers. But in January 1867, Crocker hired Strobridge as his construction company’s superintendent in charge of building the line. In the winter of 1866-67, Strobridge arranged to bring his home along with him. A boxcar was converted into a one-bedroom apartment for his wife. Of course, the Central Pacific’s workers – most of them Chinese peasants, at times numbering over ten thousand – were not so fortunate. Their families remained behind in Kwangtung Province, hoping the men who had left China for “Gold Mountain” would forge a more prosperous life for them in America or return home with enough savings to provide a comfortable life. They left home for economic opportunity, but they also played an integral role in an extraordinary project, one that connected east coast with west coast, thereby bringing the country one step closer to becoming one truly united U.S.A.
Bain, David Haward. Empire Express. New York, New York: Viking, 1999. Lavender, David. The Great Persuader. Garden City, New York: Doubleday, 1970. If you watched the 2016 Rose Bowl Parade, you know the National Park Service (NPS) celebrates its 100th anniversary this year. The participants included Yosemite Park Rangers on horseback and documentary film maker Ken Burns as the Parade’s Grand Marshal. One of the rangers celebrated his 50th year as a seasonal ranger last year (more on that later). The National Park Service’s story is an evolutionary tale. As our European cousins criticized the carnival-like atmosphere of Niagara Falls in the early 1800’s, United States citizens struggled with how to care for the continent’s many natural wonders that indigenous tribes had somehow managed not to spoil despite living here for millennia. A few prominent Californians helped to plant the seed when they lobbied to set aside Yosemite Valley and the Mariposa Grove of Big Trees (giant Sequoias) for the benefit and enjoyment of the public. 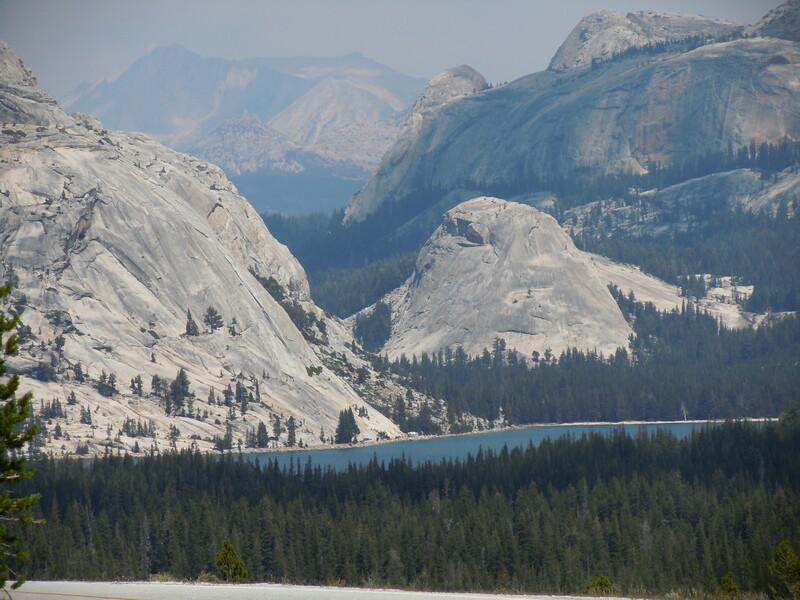 President Lincoln signed the Yosemite Grant in 1864, granting California responsibility for maintaining those scenic wonders. The Yosemite Grant was followed eight years later with the establishment of the country’s first national park, Yellowstone. In 1890, President Benjamin Harrison signed legislation adding Sequoia, General Grant, and an expanded Yosemite to America’s collection of national parks. More national parks and national monuments (the latter established by executive order, bypassing any resistance in Congress) would follow. While the country was working out this new idea of wilderness preservation, someone had to protect national park land. Where there was no protection, there was vandalism, poaching, and sheepherding. There has always been tension between those who wish to preserve America’s treasures and those who wish to use federal lands for private gain – agriculture, mining, and lumber. For several decades, the United States Army played the role of protector. Early in the twentieth century, Stephen Mather (who made his millions promoting Borax products), Horace Albright, Frederick Law Olmsted, Jr., and Horace McFarland campaigned for the creation of a federal bureau to manage the National Parks. Their efforts bore fruit when President Woodrow Wilson signed the National Park Service Act (and also know as the Organic Act of 1916) into law on August 25, 1916. The law mandated that the National Park Service “conserve the scenery and the natural and historic objects and the wildlife [within the parks, monuments, and preserves]” while at the same time providing for current and future generations’ enjoyment of these national treasures. If you have visited a national park on a busy summer day, you understand that conservation and public enjoyment sometimes come into conflict. As new national parks and monuments have been added and as the number of visitors has grown, the NPS has had to evolve to meet new challenges. The rangers are responsible for fire protection, search and rescue, and law enforcement, as well as the responsibilities we more often associate with them – public education about geology, flora, and fauna; protecting visitors and wildlife from each other; managing campgrounds; providing visitors information about hiking trails and climbing routes. Rangers who were once Jacks and Jills of all trades are now more specialized. Back to that 50-year seasonal ranger I mentioned earlier (I will use only his first name, Fred.). This past summer, I had the privilege of serving as a volunteer in Yosemite National Park. While there, I met a number of the Rangers. Nothing is more iconic than a ranger on horseback. On one sunny afternoon, a family that included a very young Junior Ranger visited one of the volunteer locations, Parsons Lodge, in Tuolumne Meadows. The young boy was excited about almost everything, including a toad that had managed to hop on a window shutter and a marmot on a nearby stack of rocks. But the Junior Ranger’s really big moment came when Ranger Fred rode up the trail on his horse King. The child was truly star struck as Ranger Fred took ten minutes to engage the Junior Ranger. I’m sure the child will enjoy that memory for quite some time. Whatever your favorite national park or monument – I have a hard time choosing among Yosemite, Glacier, Gettysburg, the Grand Canyon, and Yorktown, just to name a few – take a few minutes to talk to a ranger. They are often overworked and frequently underpaid. But I’ve never seen one out of sorts with a visitor. Thank the ranger for his or her service. We are privileged to have so many dedicated men and women to enhance our enjoyment of America’s treasures. Farabee, Charles R. National Park Ranger: An American Icon. Lanham, MD: Roberts Rinehart, 2003. National Park Service History Program (various articles). http://www.nps.gov/parkhistory. Through his writing, his farming experience, and his social and publishing contacts, Olmsted had established the credentials that won him the Central Park directorship in September 1857. Half the battle was won. He still had to fight for the new park’s design. 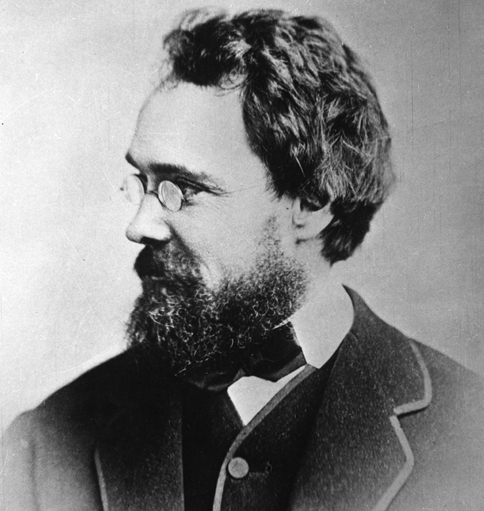 To his benefit, the architect Calvert Vaux solicited Olmsted to partner with him in the design competition. The London-born Vaux had won substantial recognition when he came to work as Andrew Jackson Downing’s assistant seven years earlier. After his initial hesitation, Olmsted joined forces with Vaux. The two men were awarded the design along with a $2,000 prize ($60,000 in today’s money) in April, 1858. Their plan had to accommodate the traffic of a large city while affording a 700-acre country-like setting to the park’s visitors. The designers did this largely by building four transverse roads that ran beneath pedestrian traffic. With Central Park, Vaux and Olmsted stood at the beginning of the life work that was to raise them and their calling to recognized professional standing. Olmsted understood well that this first essay in the creation of beautiful and extensive landscape for public enjoyment was an important departure for the art in the United States, making its benefits available not to a privileged few but to citizens generally. – Roper, FLO, A Biography of Frederick Law Olmsted, p. 144 (emphasis added). While Vaux’s name is seldom mentioned when commentators speak of Central Park, Vaux’s contribution was every bit equal to that of Olmsted. Over the next nine years, Olmsted worked off and on with Vaux on the Central Park project. The “off” came with the Civil War, when Olmsted directed his energies to the private Sanitary Commission, a medical philanthropy that provided severely needed support to the Union army during the Civil War. Olmsted served as Executive Secretary of the commission. Both in New York and on the battlefield, Olmsted found his greatest obstacles were political – Central Park’s controller in New York and a host of politicians, especially the army’s surgeon general, in Washington. In both instances, Olmsted learned to work around the obstacles. During the Civil War, he won praise from both Lincoln and Grant for his work on behalf of the troops. Despite his contribution to the care of the Union soldiers, Olmsted grew tired of the politics, and was persuaded by Charles Dana in August, 1863, to take leadership of the Mariposa Company, the struggling gold mining company that occupied 70 square miles in the foothills of the Sierra Nevada. The land had originally been claimed in 1847 by John Fremont, the adventurer who ran as the Republican Party’s first candidate for President in 1856. Whether due to too little gold or poor business acumen, Fremont managed only to run up debts. Despite Olmsted’s best efforts, the mining company remained unprofitable, and Olmsted left his post in the fall of 1865. In the summer of 1865, Olmsted and Vaux were reappointed as landscape architects to Central Park. With an annual salary of $5,000 (at a time when the average annual wage was around $350), Olmsted could return to the profession for which he was most suited. With the rebellion and Mariposa behind him, he was ready to build his legacy as America’s premier landscape architect. That legacy included parks in Boston, Buffalo, Brooklyn, Chicago, and Milwaukee, among others. He did miss the mark once when he said San Francisco’s climate and topography precluded construction of any park similar to New York’s. Mining engineer William Hammon Hall proved him wrong with Golden Gate Park. But unlike many inflated egos, Olmsted later confessed error and had only praise for the accomplishment. Olmsted’s work included a proposal ultimately put into effect at the United States Capitol – broad marble terraces on each side of the Capitol Building, providing a formal transition from the building to the mall extending to the Washington Monument and the Lincoln Memorial. Whether one visits New York City or San Francisco, the nation’s capital or Yosemite – to mention only a few – the visitor likely sees some significant contribution by America’s preeminent landscape architect. His legacy continues to reward those of us fortunate enough to witness his achievements. Roper, Laura Wood, FLO, A Biography of Frederick Law Olmsted, Johns Hopkins University Press (Baltimore: 1973). Martin, Justin, Genius of Place, Da Capo Press (Philadelphia: 2011). Rybczynski, Witold, Clearing in the Distance, Scribner (New York: 1999). It’s like something out of It’s a Wonderful Life. A small bank provides a place for small depositors and borrowers to do business in a city dominated by big banks that serve only the wealthy. Then, after an earthquake and a fire destroy a quarter of the city, the small bank immediately rises from the ashes to provide its customers loans to rebuild and a place to safely deposit their money while the big banks close their doors for six months. But unlike the popular movie, this story is true. In 1901, Amadeo P. Giannini had retired at the age of 31 after selling his share of a produce business for $100,000 ($2.7 million in 2014 dollars). He came out of retirement three years later to establish the Bank of Italy as “the little people’s bank,” eighteen months before the April 18, 1906 earthquake. To his surprise on the morning of the earthquake, his employees had removed the bank’s $80,000 dollars in gold and silver from the Crocker National Bank vaults, and were ready to operate business. By early afternoon, he realized he had to remove the bank’s assets out of the city. He and an employee acquired two wagons to haul the bank’s fixtures and, more importantly, the money. They hid the bags of money under crates of oranges. They traveled only four miles, during daylight, to the home of Giannini’s brother. After nightfall, they resumed the journey to Giannini’s home in San Mateo, fourteen miles south of San Francisco, where they hid the money in the ash pit of the living room fireplace. As important as it was to get the bank’s assets out of the city, it is what Giannini did the next two days that set his bank apart from the big banks. He encouraged his customers to borrow money to rebuild and to deposit their money in his bank, where it would be safer than in the refugee camps that sprang up to house San Francisco’s homeless 225,000 citizens. He set up the bank’s “main branch” at his brother’s house and a second branch on the waterfront once the fires were contained. While the big bankers wrung their hands, Giannini put his bank to work, affording average San Franciscans the means to begin rebuilding the city. Giannini made loans based on his knowledge of the borrowers’ character, not their credit reports. Years later, after he expanded and merged his way to build the Bank of America, he said every one of those 1906 loans had been repaid. 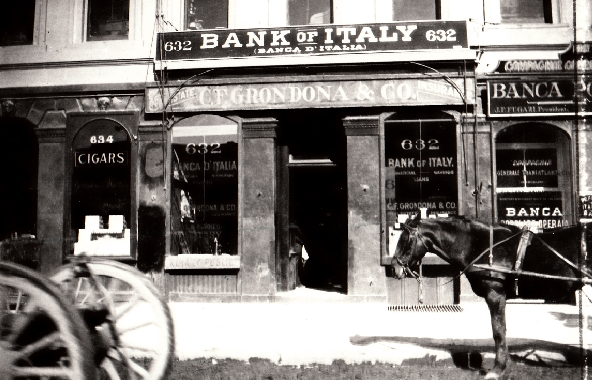 The early version of the “Bailey Savings and Loan,” i.e., the Bank of Italy, did not remain small for long. At his death in 1949, the Bank of America was the largest bank in the United States. “America’s Banker: A.P. Giannini,” Time (Dec. 7, 1998), http://content.time.com. Thomas, Gordon & Max Morgan Witts, The San Francisco Earthquake, New York: Stein and Day, 1971. It boggles the imagination. Former Pennsylvania coal miners accomplished what the West Point engineers, both North and South, said could not be done. The officers said a mine shaft over 400 feet long could not be built without installing air vents at various points along the tunnel, which would be readily visible to the rebels. The miners were not deterred. They installed an airtight canvas door just inside the entrance, ran a wooden pipe along the floor of the shaft to where the miners were working, and built a fireplace near the airtight door to send heated air up a camouflaged chimney (which drew the stale air from the far end of the tunnel and pulled in fresh air through a pipe, whose mouth was beyond the door). Did this foreshadow man’s twentieth-century discovery, capable of wiping our species from the planet? The explosion killed or wounded 278 Confederates. The resulting crater stretched sixty feet by two hundred feet and ranged from ten to thirty feet deep. What should have been a significant Union victory, breaking Lee’s lines, quickly turned into disaster for the men in blue. While the commanding officers (Generals James Ledlie and Edward Ferrero) hid safely behind the lines sharing a bottle of rum, 15,000 men poured into the crater and lingered long enough for the rebels to recover their bearings. It was like shooting fish in a barrel. By the battle’s end, the Union suffered over 3,800 casualties, three times the number suffered by the Confederates. The rebels took out much of their anger against Ferrero’s African-American troops, bayonetting and shooting many who tried to surrender. But as I intimated in the title to this piece, the Petersburg siege was not the first time Union forces attempted to undermine a rebel position. They had done so previously in the siege of Vicksburg (1863), with mixed success. In Vicksburg, the Union command identified a Confederate redan sitting on top of a towering bluff as their most formidable obstacle. Led by Captain Andrew Hickenlooper, Union soldiers took a less covert approach than the one taken later at Petersburg. They had to cover a distance of four hundred yards and no one thought they could build a tunnel to cover the distance. They initially dug a trench, employing various defensive measures to protect the workers. On June 25, the miners reached the edge of the bluff, where they dug a tunnel and set off explosives, creating a crater forty feet wide and twelve feet deep. Union troops charged, only to find that the Confederates had pulled out of the redan and had set up new defenses in anticipation of an attack. The losses were lighter (34 dead and 209 wounded) than later on the Petersburg line, but the results were similar – the siege was not broken. Six days later, Union troops conducted another mining operation, which achieved more positive results when they set off 1,800 pounds of explosives. They did not follow up with an infantry charge, apparently learning from their prior experience. By this time, however, the Confederate forces were exhausted and starving, with no help on the way. Formal surrender came only three days later. Clearly, Grant recalled the miners’ mixed success at Vicksburg when he approved a similar scheme at Petersburg. But just as had happened on too many other occasions, Grant’s subordinates failed him. In this instance not only did they fail to execute the battle plan, they chose to share a bottle of rum far from the battle, missing the action altogether, while almost four thousand men either died, were wounded, or marched off to a Confederate prison. National Park Service, “The Battle of the Crater, July 30, 1864,” http://www.nps.gov/history/history/online_books/hh/13/hh13f.htm. It isn’t easy to amend the United States Constitution. Article V requires that an amendment be proposed by Congress with a 2/3 majority in both the House and the Senate (or by a Constitutional Convention called by 2/3 of the States). The proposed amendment does not become part of the Constitution unless it is ratified by ¾ of the States. It is difficult to imagine how the current political divide would allow any further amendment to the Constitution in the near future. But the 1800 Presidential election generated change to the Constitution even in the midst of rancor between the two parties of the day, John Adams’ Federalists and Thomas Jefferson’s Republicans. The disdain shown by the Federalists and the Republicans might embarrass today’s Democrats and Republicans. Federalists called Jefferson an atheist. Republicans called Adams senile. Federalists feared Jefferson would bring America the worst of the French Revolution. Republicans were certain the Federalists would return America to its colonial status or impose a central government equally offensive as the British crown. At that time, the parties did not nominate separate candidates for President and Vice President. Each party nominated two candidates, both for the Presidency. In 1800, the Federalists chose John Adams and Charles Pinckney as their two candidates. The Republicans chose Jefferson and Aaron Burr. The candidate who received a majority of the electoral votes became President. Under Article II of the Constitution, each of the state’s electors cast two ballots. The candidate who came in second became the Vice President. The sixteen states had a mishmash of methods of selecting electors. In eleven, the state legislatures selected the electors, meaning that the state’s controlling party selected the electors. In the others, white male property owners or white male taxpayers voted for the electors. Some states used a winner-take-all system while others split the votes. The Federalists exercised sufficient control over their electors to insure that Adams received at least one more ballot than Pinckney. The Republicans failed to exercise such party discipline; their electors cast 73 ballots for Jefferson and 73 ballots for Burr. Adams received 65 votes and Pinckney received 64. With neither Jefferson nor Burr receiving a majority of the electoral votes cast, Article II gave the House of Representatives the duty to choose the next President. Because Jefferson was the clear leader of the Republican Party, one would expect Burr to step aside. Ambition trumped party loyalty. It was left to the lame duck Federalist House to select one of its two Republican enemies as the next President of the United States. Ultimately, backroom deals would give Jefferson the White House, of course, but it was not easy. Each state delegation could cast only one vote. With 16 states, Jefferson had to win nine, right? The Federalists cast their lot with Burr, generating 19 ties during a February 11, 1801 snowstorm. The deadlock remained unbroken through another sixteen votes. Finally, on Monday, February 17, Jefferson won a majority on the 36th vote, not because he picked up an additional state, but because the Delaware delegation abstained in accordance with Jefferson’s agreement to make various accommodations to the Federalists. The parties averted a near debacle and worked to prevent a repeat of the 1800 election. Within three years, Congress proposed and the States ratified the 12th Amendment to the Constitution, which provides, among other things, that electors must cast separate ballots for President and Vice President. Our white-wigged forefathers recognized that the original Constitution is an organic instrument that requires change from time to time. They made amendment a difficult process, but not an impossible one. Scott Bomboy, “What Happens When No One Wins a Presidential Election?” National Constitution Center, Constitution Daily, http://blog.constitutioncenter.org/2014/06 (June 16, 2014). 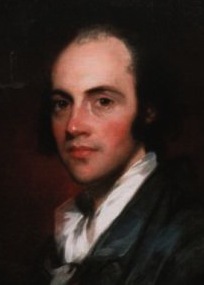 John Ferling, “Thomas Jefferson, Aaron Burr and the Election of 1800,” http://www.smithsonianmag.com/history (Nov. 1, 2004). 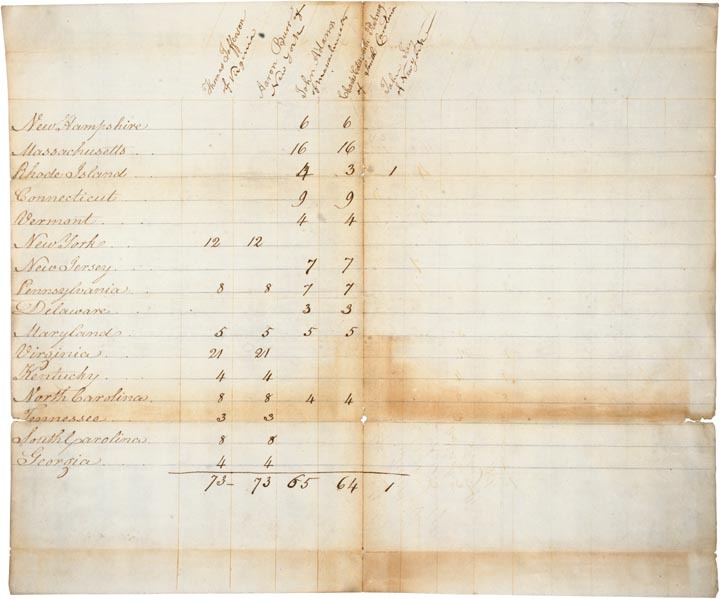 National Archives, “1800 Presidential Election: Tally of Electoral Votes for the 1800 Presidential Election, February 11, 1801,” http://www.archives.gov/legislative/features/1800-election.